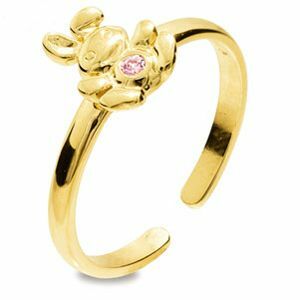 Solid 9ct yellow gold pink CZ bunny rabbit toe ring. A lovely Easter gift! 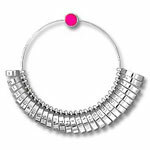 Gemstone: 1 x 1.5 mm round pink cubic zirconia. Type: gold pink CZ rabbit toe ring.